Bigtooth aspen gets its common name from its leaf that features very conspicuous rounded teeth on the edges (grandidentata for “large teeth”). 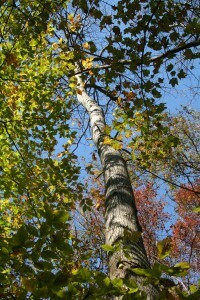 Its bark is thin, smooth, and light-gray to green on younger trees and upper parts of older trees. 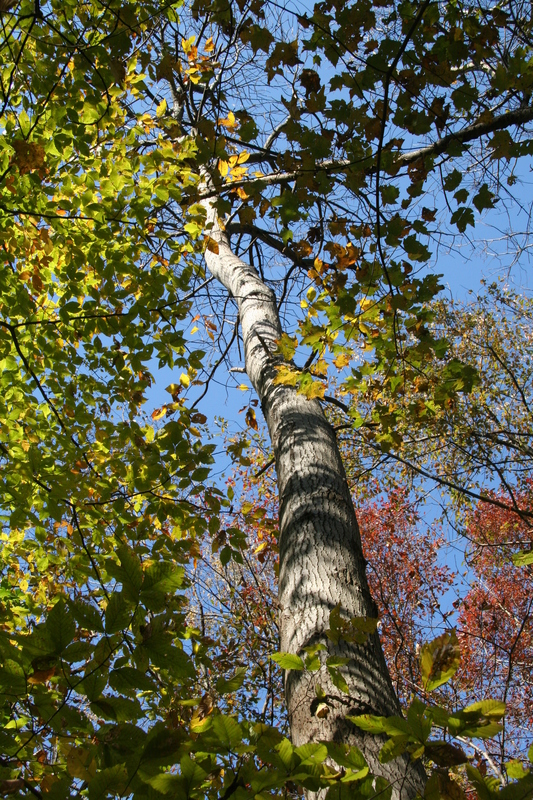 Near the base of older trees, the bark is dark brown with a tint of red and measures up to an inch in thickness. Its soft, light-colored wood is used for pulpwood. Bigtooth aspen leaves are 2 to 3 inches wide, roundish, pointed, and dark green in color on the upper surface with lighter green below.